You may have heard of Vistaprint. They are a printing company that offers free business cards. Perhaps you have never ordered them or just thought that business cards were all they sold. However, thanks to Mara at Kosher on a Budget, I have been aware of many other deals they offer. Every few weeks (it seems) they have anywhere from one to several products for free. You pay only shipping. There are many possibilities of what you can create from their products to take advantage of these freebies. I have included pictures of the items I have made. ∞ Labels for your kids’ stuff: You can use their whole name and choose one of the larger font sizes to fill the label. Then use it to mark water bottles, school supplies, etc. ∞ Labels for anyone in the family: You can use the Caricatures style and make labels for the whole family. I need to mark water bottles and school supplies for all four of my boys, so I thought this would work well, instead of having to purchase a separate set for everyone. I made caricatures for each of my family members, included their names, and then put the text as “Property of the Kornblums.” Then I can just circle the caricature for the person the item belongs to! ∞ For invitations and reply cards for a special event: Decorate your label specially for a particular event. Use them for a large event such as a party, graduation, wedding, etc. ∞ Family book labels: I like to put a label on the inside of each of our books (kids’ and grown-up) that says “Property of the Kornblum Family.” This way if we lend out something, the borrower will know who it belongs to. Or if we leave something somewhere, the finder will know who to return it to. ∞ Thank you gift labels: Other ideas include gift labels which would say “Thank you! From (name).” These would work well for teacher gifts and party favors. 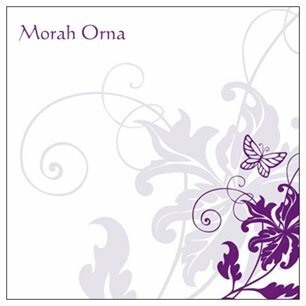 ∞ Gift labels: I made some (on Inkgarden) with our initial at the top and then the text “From the Kornblum Family / (our first names on the next line).” I can then use them in place of a card or sticky label on a gift (birthdays, Shabbos invite, etc.). ∞ Personalized gifts for teachers: Add their name alone or “From the desk of (name)” on the pad. 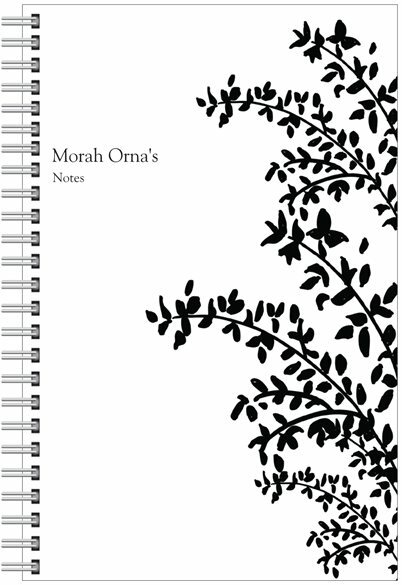 Or come up with a cute saying for the front cover (if choosing the spiral option). ∞ Personalized gifts: These can also make great gifts for a birthday, graduation, new job, Father’s or Mother’s day, birthday gift, etc. 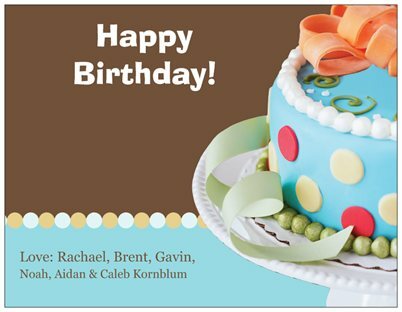 ∞ Kids’ birthday gift thank you notes: Include text like: “Dear _____, Thank you for coming to my party. Thank you for the ________________. Love, ___________” Then your child can fill in the blanks, making this a personal thank you that he or she helps with. ∞ Moving notification cards: Use these to tell people you have moved. Have you created any other neat ideas on Vistaprint? Share them in the Comments section.